General Motors announced Friday that it's recalling some 370,000 trucks in North America because of a fire risk. 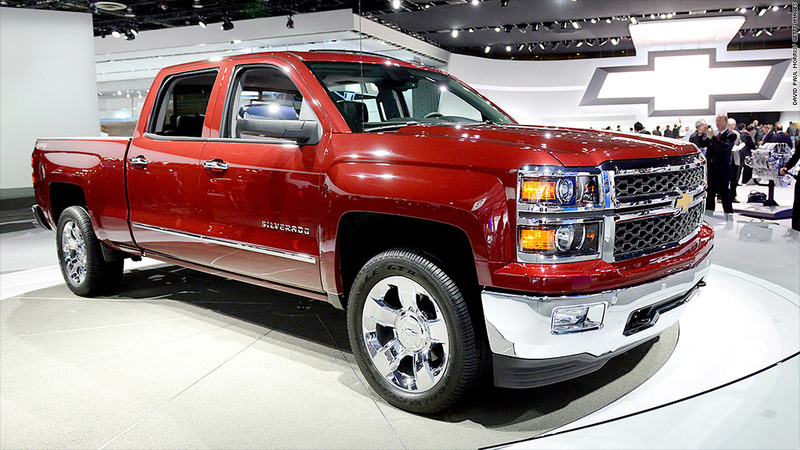 The affected models include 2014 Chevy Silverados and GMC Sierra full-size trucks. GM (GM) said the vehicles had problems with their software that could lead to the overheating of exhaust components and cause fires. GM said it had confirmed eight fires that have resulted from this issue so far, though no injuries. "All occurred in areas with very cold weather," the automaker said. Drivers will be alerted about the problem by mail, and can take the affected vehicles to dealerships starting next week for free repairs. In the meantime, GM urged owners of the trucks in question "to avoid leaving their trucks to idle unattended." GM's announcement follows Chrysler's November recall of roughly 1.2 million trucks following a series of accidents related to problems in their steering systems.